For a second consecutive year, on July 14th, the Cote-des-Neiges Notre-Dame de Grace borough will host its street games festival at Parc Georges St-Pierre in NDG. The Rap Jeunesse, an organisation that strives to help at-risk youth launched its first ever street games festival in 2002, with CDN-NDG joining in for the first time ever last year. The local project aims to improve and expand extra curricular activities in the community while promoting inclusion, togetherness, social interaction, and an active lifestyle amongst youth ages 12 to 24. The games serve as a platform for underprivileged and less fortunate youth to practice self development and achieve fulfillment through sports. Montreal’s street games festival incorporates 12 of its 18 boroughs into the joyous event. The athletes participate in friendly competitions against fellow residents living in the same borough. The games, free of charge, showcase promising talent in ball hockey, basketball, flag-football, cricket and soccer. 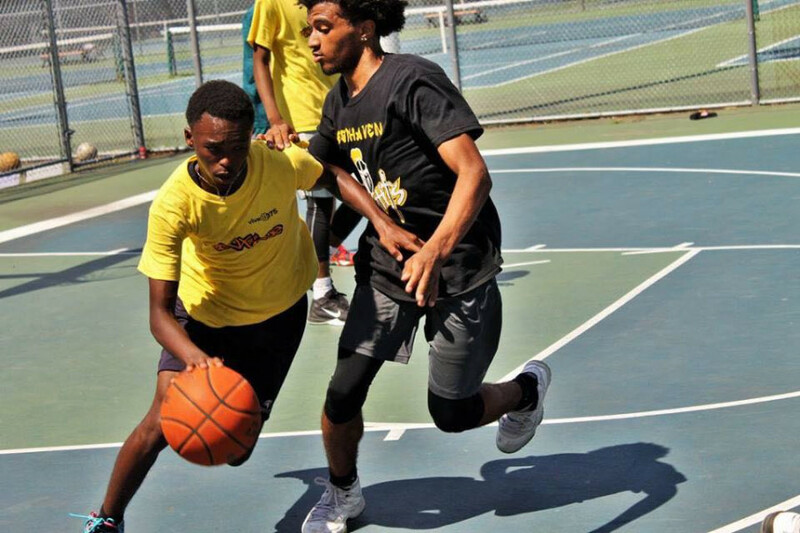 Once the winning teams of each borough are determined in their respective sports, they will represent their neighbourhood in an epic inter-borough finale on August 15th at Parc Jarry to crown the ultimate champions. Finalists receive medals, prizes, sports gear and other valuables partially financed by the city of Montreal and the Rap Jeunesse. With last year’s first ever collaboration between both Youth Councils in NDG & CDN and the city of Montreal being an overall success, Murielle believes this year’s games will be no different; leaving the community warm and well served. Registrations are first come first serve and will begin at 9:00 a.m. for teenagers 12-14 years old. At 11:30 a.m., teens aged 15-17 will begin their sign-ups and their competitions will go from 12:30 p.m. to 4:00 p.m. Lastly, young adults aged 18-24 years old will register at 3:00 p.m and they will go till 8:00 p.m. While this year’s edition will focus on soccer, basketball and flag-football, the borough plans to implement family friendly activities into the schedule to keep residents engaged. Participants will have the opportunity to stay active in all sections open to the public including the dance contest, make-up session and different family artistic activities all of which begin at 10:00 a.m. A free smoothie exposition will be on display alongside food and refreshments for residents who participate in the competitions. The novelty of this year’s edition brings forth an intriguing Slam Dunk contest hosted by Grind Now Shine Later, a Montreal-based motivational apparel company. Standing at 6’7, Montreal native formerly selected in the second round of the 2012 NBA draft, Kris Joseph describes his brand as a lifestyle. The ex-Syracuse Orangemen star says Travis Walton, a friend of his, was the first to bring it to his attention while he was away. When he returned home, he lived by it; the life you need to work to achieve the things you want. “Grind Now Shine Later is meant to motivate people to want to do better. Reach a goal. It’s hours and hours of work. It’s a mentality that can be applied to any and everyone,” said Joseph. The GNSL team will introduce their product by conducting a basketball skills clinic in the afternoon. The Slam Dunk contest will run just after, putting a pause to all other competitions with judges Christian Arseneault, city councillor from the District of Loyola and prominent youtuber Francois Picard, also known as the “DunkFather”. The contest will be complemented by host Ian from the Running With Wolves podcast, who will deliver live commentary for the crowd. The winner and runner up of the competition will be compensated $750 and $250 respectively for their accomplishments. The event exposes teens to an endless amount of hope, “joie-de-vivre” and sense of purpose and accomplishment. Despite attendance being hard to predict, the street games reunites thousands of motivated children and young adults into a sphere of physical activity, where everyone can essentially be authentic and feel good in their own skin.